PlayStation got us even more hype us for TGS 2018! 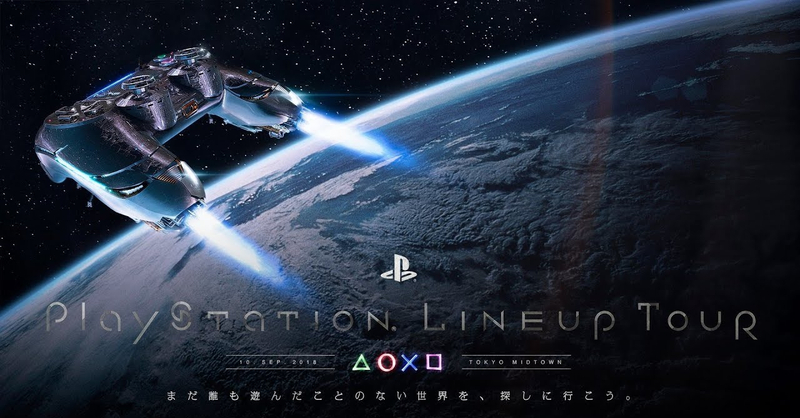 Tokyo Game Show 2018 is coming next week, and PlayStation just revealed their lineup of titles in a livestream yesterday entitled the “PlayStation LineUp Tour.” Think of it as PlayStation’s own “Nintendo Direct” as it was filled with trailers for new and upcoming titles for the PS4. The stream featured a fun theme of a “DualShock Spaceship” travelling through space and discovering upcoming PS4 games. While there were a lot of trailers which were basically Japanese versions of PlayStation’s E3 2018 announcements, there were still a lot of exciting new stuff revealed during the stream. While not exactly a PlayStation exclusive, Kingdom Hearts III was given a spotlight during the stream; not surprising, given that the series’ main titles were PS2 exclusives. The latest Kingdom Hearts III trailer showcased the game’s San Fransokyo setting from Big Hero 6, and it looks like an absolute blast to play! Here’s hoping the game lives up to the massive hype when it releases on January 25, 2019. What is a PS4 exclusive (well PSVR) though is Kingdom Hearts: VR Experience, which isn’t a full game but is instead a 10-minute interactive video in VR. The experience will let fans relive some of the most iconic moments in Kingdom Hearts history. It might be very short at 10 minutes, but it is going to be available for FREE this Holiday season on the PlayStation Store! Cygames might be well known as a mobile developer, but it’s finally venturing into home consoles with its upcoming PS4 title — Project Awakening. While there wasn’t much info revealed for the game in the reveal trailer, it seems to be a hack-and-slash RPG in a fantasy setting, complete with Monster Hunter-style beasts! FromSoftware’s upcoming tile Sekiro: Shadows Die Twice looks like another must-play for fans of the SoulsBorne games. Sekiro follows in the footsteps of the insanely-tough (yet rewarding) Dark Souls titles, all while introducing new gameplay tweaks. Like Bloodborne though, Sekiro is introducing new tweaks to the Souls formula, including more dynamic movement as shown in the LineUp Tour trailer above. Sekiro: Shadows Die Twice releases on March 22, 2019. Fighting game fans were treated to a new Dead or Alive 6 trailer during the PS LineUp Tour. The new trailer revealed three characters that are coming to the game, including Ayane, Marie Rose, and Honoka. The game is coming to PS4, Xbox One, and PC on February 15, 2019. Back when it was released for the GameCube, Final Fantasy Crystal Chronicles was a big hit; it even spawned its own spin-off series for the DS and the Wii. While historically only released on Nintendo Consoles, Crystal Chronicles is getting remastered and released for the PS4 next year in Japan (no word yet on an international release). It’s not an exclusive though, as it’s also coming to the Switch. From the creators of the Yakuza series comes Judge Eyes, a game that’s totally different from the Yakuza series. Instead of being an action-adventure game, Judge Eyes appears to be a narrative-driven title a la LA Noire or Detroit: Become Human. The game will be released in Japan this December, with an international release in 2019.